French novelist Patrick Modiano has been named the 2014 winner of the Nobel Prize in Literature. 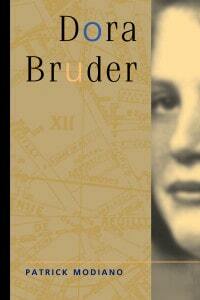 We’re thrilled to be the publisher of Modiano’s lyrical novella, Dora Bruder. Based on a true story of a Jewish teenager in Paris during WWII, Modiano begins with a foregone conclusion: Dora Bruder’s name was on a list of Jews sent to Auschwitz from Paris in September 1942. What he intends to do in this haunting chronicle is nothing less than to uncover the outlines of the life of this 15-year-old who ran away from her hiding place in Nazi-occupied Paris—a Catholic boarding school. Based on ten years of sleuthing, Dora Bruder is a mix of investigative journalism, fictional re-creation, and philosophical reflection. The result is a haunting meditation on resilience, identity, survival, fear, occupation and, most of all, memory. Who is Dora Bruder?, Modiano asks; the answer is left for the reader to determine. It took a lot to give birth to this book—two translators to be exact. But the result is a page-turner that gives us a feel of Nazi-occupied Paris in all of its panicky, dark, tragic viscerality.